What is Lin-Gas Propane Used For? Nowadays, the power of propane has more uses than ever. Some uses you may have not even considered such as: propane home heating, propane water heating, and propane for drying clothes. Learn more about our Lin-Gas Residential Propane Services. Power your business with Lin-gas propane! The industry and technology of the propane business has changed significantly over the past 20 years, and customer demands have become more individualized. No longer are customers satisfied with a “one size fits all” program. They demand service that is 24 hours a day, 7 days a week. 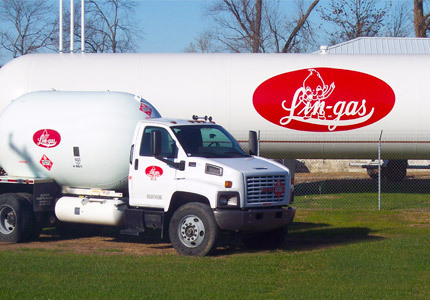 Learn More about Lin-Gas Commercial Propane Services. Want to learn More about Propane? Visit our Propane Resources section.